Bitcoin’s price is back above $10,000 for the first time since December of last year, shortly after it had charted a course to record highs near $20,000. 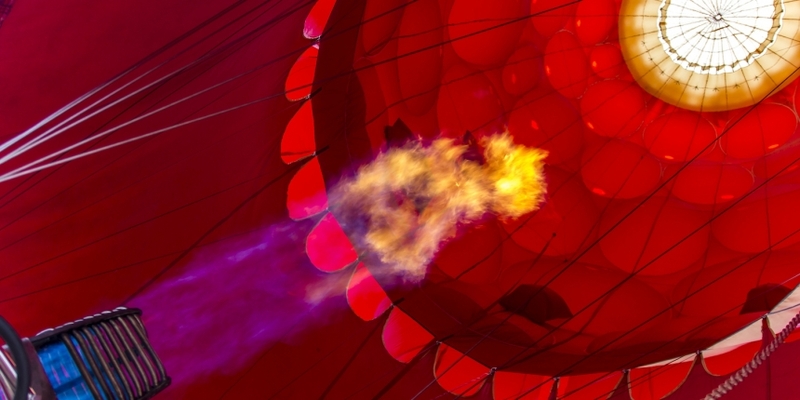 Since the Feb. 6 low around $6,116 (as per CoinMarketCap) – a correction that saw bitcoin lose 69.5 percent of its value from the all-time high – the cryptocurrency has slowly gained altitude despite media headlines and prominent figures in finance calling the correction a bubble in collapse. As of press time, the price of bitcoin is trading at $10,037.51, according to CoinDesk’s Bitcoin Price Index (BPI). Overall, the price of bitcoin has risen more than $500 since the day’s open. According to CoinDesk’s Bitcoin Price Index, bitcoin opened the session today at $9,477 and climbed steadily through the day, bar a brief drop around 10:00 UTC. The $10,000 mark was reached at around 17:25 UTC. 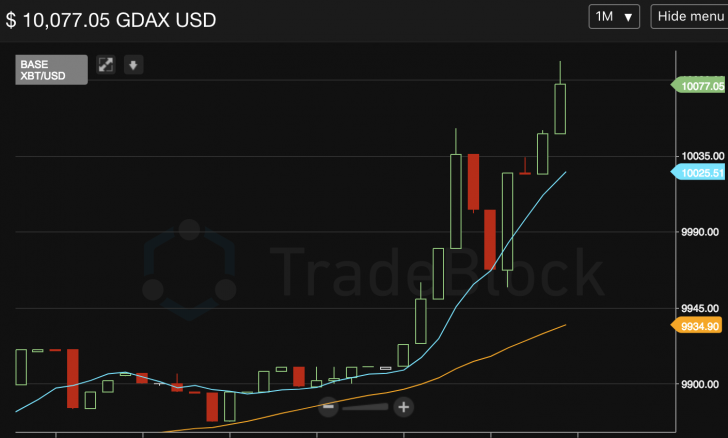 Market data indicates that price action on exchanges like GDAX saw the push above $10,000, with a notable green candle emerging. Bitstamp, itBit and Kraken, among others, also saw the price pop past $10,000. And signs appear strong the price may hold. Following the $10,000 crossover, traders appear to have been able to tend off sell orders. A view of the minute-by-minute action reveals bears sought to capitalize on bitcoin’s boost, selling the price back below $10,000. 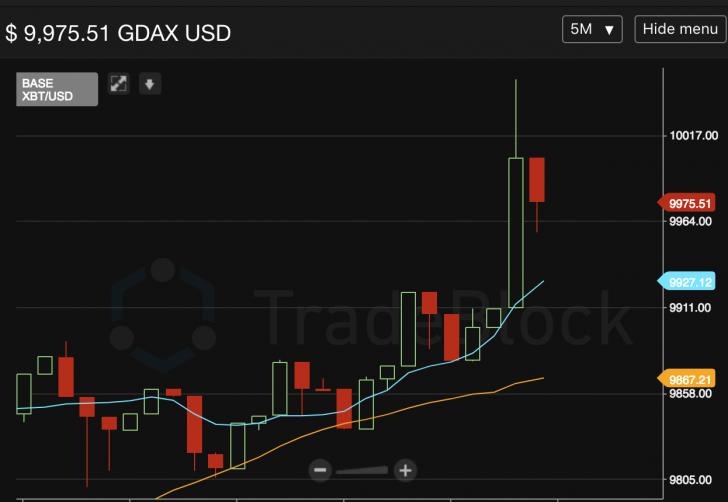 However, data from GDAX shows the price followed through to return to the green. At press time, bitcoin’s recovery is also reflected across the wider cryptocurrency markets, with digital assets across the board seeing gains today after major losses through January and February. Amid the rebound, tokens like litecoin and ripple (XRP) are doing especially well in the top 10 by market cap. Litecoin is up 50 percent over the week, while XRP is up 48 percent.